Cookie 'PHPSESSID' is used to manage how the map feature is handled in the user's browser. It does not retain any user or location data, only a unique ID for the user's session on Google Maps. Cookie '_atuvc' is used to enable users to link back to content in the MuslimsInBritain.org Blog pages. Cookies '_utma', '_utmb', '_utmc', '_utmt' and '_utmz' are used by Google Analytics as described below. MuslimsInBritain.org uses Google Analytics to provide website ranking and usage metrics. Google Analytics does not identify or record information about individual users, only aggregated pageviews from the MuslimsInBritain.org website. MuslimsInBritain.org does not require a user to identify him or herself via a login, so Google Analytics data is limited to the data in the website log, i.e. the calling IP address and the URL of the MuslimsInBritain.org web page requested. MuslimsInBritain.org is the definitive directory of mosques and Muslim places of worship in the UK. Established in 2005 and continually updated with first-hand information, it is available online in Google Maps on smartphones, desktop format and downloadable for all satnav devices and CSV file format uses. The webmaster's blog of topical comment on issues facing the UK's Muslim community. Google Map and Streetview of every functioning UK masjid and public prayer room, on your smartphone, desktop or downloaded to your satnav. Directory Status: There are currently 2097 UK masjids/mosques, prayer rooms and shared places such as hired halls and chaplaincies landmarked and 1085 other locations e.g. proposed or no longer used. Last updated 21st April 2019. Search (desktop) or open the map at your location (location-enabled mobile device). Download all UK masjids as a satnav POI or CSV file. Go to the directory Search and Overview page. MuslimsInBritain.org collates the data accumulated from the directory of masjids to produce a report every two years, of the numbers of masjids and prayer rooms in the UK, their affiliations, modes of worship, women's facilities, their managements' cultural and linguistic associations, distribution by capacity, etc. The same data is also analysed against local authority and by Westminster parliamentary constituency, to provide local and electoral perspectives on the Muslim community. "Figures ... from the largest ongoing survey and comprehensive directory of British mosques, by [... MuslimsInBritain.org webmaster at] www.muslimsinbritain.org" The Change Institute, "The Pakistani Muslim Community in England - Understanding Muslim Ethnic Communities", published by the Department for Communities and Local Government. "Islam and Muslims In Britain: A Guide for Non-Muslims" was originally commissioned and published by the City of London Police in 2004 as part of a drive to improve community relations in that part of London through educating police officers. It was subsequently adopted by many other UK police forces and other public organisations, even as broad as the pan-Europe OSCE. 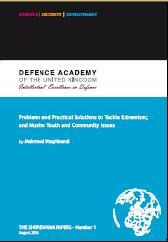 Notwithstanding fundamental incentives for Muslim militancy in the global context, there are few Muslims in the UK who are inclined towards extremist violence or militant action. For those that are drawn into militancy, nearly two decades of observation and intervention has demonstrated that it is extremely rare for militants to be motivated through any UK-established Muslim institution or preacher hosted therein. Yet in the decades from Bosnia to Afghanistan to Syria, the numbers involved have grown exponentially. MuslimsInBritain.org contends that the failure to tackle this growth lies not in the presence of militant preachers, recruiters and "conveyor-belts", but in the absence of capability within the UK's Muslim institutions, mosques etc., to understand and address the issues. Instead, the same institutions are preoccupied with their own exclusive sectarian and ethnic perspectives. Very often the different sects blame each other for 'extremism' in polemics aimed at securing their own factional interests. Very often Mother-country ethnic exclusiveness buries awareness of the very different preoccupations of third-generation Muslim youth. Among the latter, frustration with defensively factional and ethnic hide-bound mosque management, creates an environment in which extremist and militant undercurrents thrive unnoticed by elders and community 'representatives'. MuslimsInBritain.org has made significant contributions to the understanding of Muslim extremism and the nature of violent extremism in the UK's Muslim community. Some of this work has been published by official bodies, in particular this analysis originally submitted to the Home Office following the bombings of 7th July 2005. MuslimsInBritain.org's directory of UK masjids confronts the problematic issues of factional sects and cultural and ethnic exclusivity directly, by displaying each masjid's predominant sectarian 'theme', which at its most generous can be taken as that masjid's customery form of Islamic worship, but in most cases is also a debilitatingly exclusive determinant of who is allowed to perform or speak of anything beyond the basic salaah. The site also shows the cultural and ethnic reference point of each masjid's management committee. It is vital to understand that there is not a single Masjid in the UK that does not welcome anyone, Muslim of whatever belief, or non-Muslim, attending for devotional purposes within reasonable bounds - the contrary would be considered outrageous. Even so, outrage is curtailed when one third of the UK's masjids - all South-Asian-managed - make no provision for women. Otherwise, the only entity one might consider that explicitly excludes Muslims from entering any of its premises is the tiny but vociferous Ahmadiyya religion that claims a questionable association with Islam. While masjid managements' sectarianism and ethnic exclusivity are the two biggest obstacles that prevent masjids from addressing extremism effectively, there are many other aspects of masjid governance that show widespread and systematic failure to address the Muslim community's need for positive engagement between the masjids and both their local Muslim community and the non-Muslim neighbourhood in which they live. Human investment in the masjid's resources, developing imams and staff to provide genuine pastoral services to the whole community. Do you live in Newham, Tower Hamlets, Hackney or Harrow? Form a new friendship, try new activities, and support a disabled young person to have fun and gain new skills - while they enable you to do the same. The "About" page to which this links, is part of the Blog content, however it sets out all the essential information about MuslimsInBritain.org, its authorship, principles, foundations and motivation that apply to the rest of this website. To contact MuslimsInBritain.org about any matter other than an update or correction to a specific masjid or place of worship already on the database, please use this form . To submit an update or correction to a specific masjid or place of worship already on the database, it would be most helpful if you would use the Update/Contact form accessed from the directory's individual masjid web page - find the masjid via the "Find Mosque" links above. MuslimsInBritain.org retains and publishes the current, former and occasionally intended locations of mosques, masjids, and places used temporarily but regularly for gatherings of Muslims for collective worship (hired halls), usually for Jumu'ah Salaah. As part of this service MuslimsInBritain.org publishes contact information including phone numbers and correspondence addresses. This information comes from existing public sources, or from masjid managements, or from the organisers of events, or from users who have visited these locations. MuslimsinBritain.org does not publish the names of any individuals associated with any masjids or hired halls, but many of the locations are privately owned and some also include private dwelling places. Many of the contact telephone numbers are those of individuals who are involved with running the masjid or event at a hired hall. However in all cases, the individuals concerned are never identified by name or address and the contact information has either been published elsewhere in a directly related context or has been sent to MuslimsInBritain.org by the individual concerned, explicitly for it to be published as contact information for the masjid or hired hall service. MuslimsInBritain.org publishes known affiliation, ethnic heritage and style of worship of masjids and their controlling bodies, but does not associate that with any individual person, only with the collective masjid entity. Therefore, in respect of GDPR, MuslimsInBritain.org does not perform any processing that associates Personal Data with religious or political affiliation, ethnic heritage or management of a particular organisation. MuslimsInBritain.org publishes external and internal photographs of masjid premises that are intended to be accessible to the public (i.e. masjid users) at the time the photograph was taken. Maximum efforts are made to ensure that all photographs completely exclude images of people, identifiable or not, and any photos that have been taken with people in them, have the person's image completely obliterated. For audit purposes, MuslimsInBritain.org retains full details of all related correspondence with contributors, so as to demonstrate that the provenance of information published and stored is either public or volunteered by contributors themselves. Once received and used for updating of the website, none of this correspondence is published or retained on an on-line device. MuslimsInBritain.org endeavours to complete all updates within one month of being received. Through the quality controls applied to MuslimsInBritain.org's data, MuslimsInBritain.org is widely recognised now as the primary source for masjid location reference material. There are many ways in which this information can be accessed in order to meet its intended use, and there is a continuing interest from unrelated parties in using the information for alternative versions of the same service, i.e. other mosque directory services. Having published the information in good faith, MuslimsInBritain.org has no means to prevent the misuse of the publicly available information by external parties and has no liability for the consequences of other people's use or misuse of the information, and does not extend permission for its copy and use to any other party for any purpose. As stated, MuslimsInBritain.org does not publish any Personal Data that such parties could access, only previously published and anonymous contact information that has been provided for that express purpose. MuslimsInBritain.org publishes biennial summary statistical information of the composition of the UK's masjids including religious affiliations and ethnic heritage composition of management. The statistics do not identify individual masjids except for a table of the thirty largest UK mosques. The statistics do not process any Personal Data at all; no individual can be identified by any attribute from the statistical analysis. As the responsible source of definitive masjid data, MuslimsInBritain.org does attempt to mitigate the problems of propagation and retention of incorrect and out of date data by including in its published data, clear indications that a data item is incorrect or no longer current, and basic details of locations no longer in use as masjids. This enables other sources to correct their data and for users to be able to identify that data from other sources is known to be incorrect. In many such cases this includes addresses that have become private residences, and phone numbers that have ceased to be associated with masjids or hired hall organisers, due to the inevitability that properties and phone numbers are re-used by others for other purposes. Nevertheless MuslimsInBritain.org retains records of the historical source to demonstrate that there is or has been a publicly available association of that address or phone with a masjid or other premises for Muslim collective worship. MuslimsInBritain.org will on request, provide explanations for the inclusion of specific data on the website, and with reasonable endeavours will act immediately to remove incorrect data subject to reasonable justification for the request for its removal. MuslimsInBritain.org will retain records of the original source of the data and requests for corrections, and will continue to publish indications that a particular detail is incorrect, with a view to propagating the correction to alternative service providers. To contact MuslimsInBritain.org about GDPR, please use this form . To submit an update or correction to a specific masjid or place of worship already on the database, it would be most helpful if you would use the Update/Contact form accessed from the directory's individual masjid web page - find the masjid via the "Find Mosque" links above.